Hi everyone. Just a really quick post from me today, to say I'm guest blogging over on 6 Inch Stilletos. 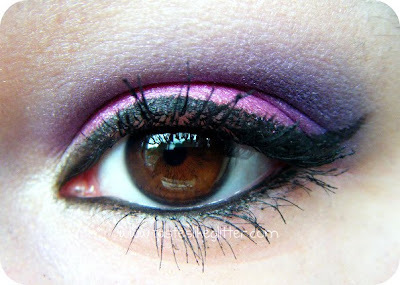 I've done a recreation of an EOTD and you can see more pictures and what I used to achieve this look here. I've got some reviews I really need to do ASAP and a Sally's blog. I really need to get my things together and start blogging properly again. Fear not though, I am still around and will be posting as much as I can soon!